The Sahtak Awalan: Your Health First campaign has launched its latest initiative at Al Meera supermarkets, helping shoppers ensure they buy healthy, nutritious foods for their families. Sahtak Awalan is the flagship health campaign of Weill Cornell Medicine – Qatar. It recently signed a memorandum of understanding with the Ministry of Public Health and Al Meera Consumer Goods Company (Q.S.C) to launch the Your Healthy Choice initiative in four Al Meera supermarkets – Legtaifiya, Gulf Mall, Al Wakra, Thakira and Géant at Hyatt Plaza. Your Healthy Choice has now been officially launched in partnership with the Ministry of Public Health at Géant Hypermarket. The five supermarkets initially involved in the project have Your Healthy Choice branding throughout the stores and information about the health benefits of a variety of foods including fruit and vegetables, dairy products, and meat and fish. 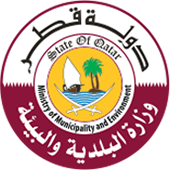 The information provided is in accordance with the Ministry of Public Health’s Qatar Dietary Guidelines. The aim is to educate shoppers so they can make informed choices about what they eat, and encourage them to prepare healthy, balanced meals. The nutritional information provided by Your Healthy Choice is in accordance with the Ministry of Public Health’s Qatar Dietary Guidelines. A health educator will be available during weekends to advise customers not only about the healthiest foods to buy and give to their families, but also how best to maintain or lose weight. There will also be booklets with nutritional information and dietary advice. Dr Saleh bin Ali Al Marri applauded the Your Healthy Choice campaign which launched shortly before the holy month of Ramadan to encourage the adoption of healthy eating habits. He commended the Ministry of Public Health’s fruitful cooperation with WCM-Q and Al Meera Consumer Goods Company in launching this important campaign as part of the collective efforts towards increasing health awareness, which is a matter of utmost importance in order to achieve a healthy future for the population of Qatar. “It is really important to expand this campaign in the future as it provides healthy eating tips in a clear and simple manner and involves nutritionists who provide reliable healthy eating information. I am confident that this campaign will achieve its goals and contribute to spreading healthy choices in the community,” Dr Al Marri added. “The main goal of the Your Healthy Choice campaign is to encourage healthy eating habits in Qatar, and it is part of the Ministry of Public Health’s ongoing efforts to promote healthy lifestyles that lower the risk factors of chronic non-communicable diseases, such as cardiovascular disease, diabetes and cancer,” said Sheikha Dr Al-Anoud Bint Mohamed Al-Thani, Director of Health Protection and Non-communicable Diseases, Ministry of Public Health. Dr Al-Thani stressed the importance of the campaign as it focuses on replacing common bad eating habits with good ones, especially at the start of the fasting month of Ramadan. The Your Healthy Choice initiative provides comprehensive nutritional information to help shoppers prepare healthy meals for themselves and their families. She also pointed out that the Your Healthy Choice campaign involves using food labels to help shoppers choose a more balanced diet by cutting fats and added salt and sugar, and encouraging them to select high-protein foods such as beans, legumes, fish and meat and consume more fruits, vegetables, milk and dairy products. She applauded the Your Healthy Choice campaign as it pays particular attention to promoting healthy lifestyles which would help cut the risk of cardiovascular disease, diabetes and cancer. She also pointed out that shoppers at participating Al Meera supermarkets will get copies of the Qatar Dietary Guidelines which were released by the Ministry in 2015 to offer valuable insights and guidance for healthy eating. This includes identifying the basic food items that have to be eaten on a daily basis as well as the items that have to be reduced as much as possible or avoided altogether. Nesreen Al-Rifai, Chief Communications Officer at Weill Cornell Medicine – Qatar, said the campaign would start at five stores but would be rolled out to other Al Meera branches in the future. Mrs Al-Rifai said: “We committed ourselves to launch Your Healthy Choice before Ramadan so we could help families to shop and eat healthily throughout the Holy Month and we have delivered that. 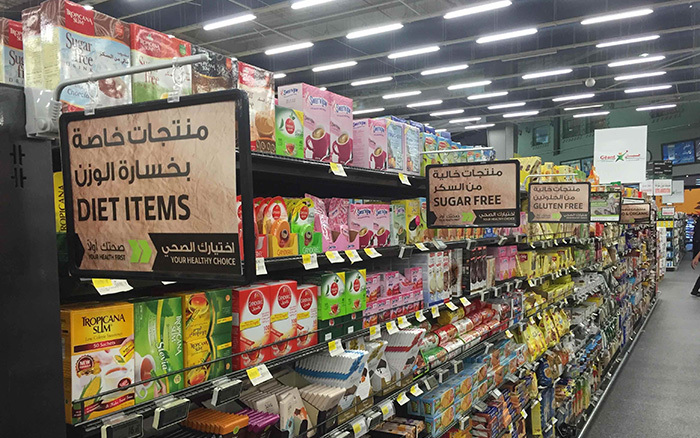 “Tens of thousands of families shop at Al Meera supermarkets every week and the Your Healthy Choice program will help guide them in their food choices so that they cans serve their families the freshest and most nutritious food available. Your Healthy Choice aims to help shoppers choose a balanced diet consisting of healthy dairy options, whole grains, healthy oils, fish and lean meats, and plenty of fresh fruit and vegetables. Dr. Shahrad Taheri, Professor of Medicine and Assistant Dean for Clinical Investigations at WCM-Q, said that Your Healthy Choice would educate people about the correct foods to buy, prepare and eat. Sahtak Awalan: Your Health First was launched in 2012 in association with the Ministry of Public Health and the campaign’s strategic partners, Qatar Foundation, the Ministry of Education and Higher Education, Occidental Petroleum Qatar, ExxonMobil and Qatar Olympic Committee.